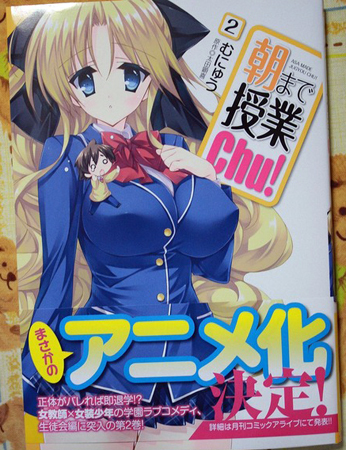 Alternative Title(s) Asa Made Jugyou Chu! Kagami Yuuki has managed to become a scholarship student in a high-class high school. Unfortunately, thanks to his gender-ambiguous name, the teacher Kakinozaki Ayana has registered him as a girl! It's apparently an uncorrectable mistake, so now Yuuki must live in the girl's dormitory of his new (co-ed) high school. At least Ayana's willing to take responsibility for her mistake; she volunteers to be his roommate. As one would guess, he and Ayana must make sure none of the other girls in the dorm find out he's actually a boy. Therefore, except for when he's in his classes, Yuuki has to cross-dress, or else both he and his teacher will be kicked out of the school and dorm!